Most people believe that washing your face daily should be able to spare you from having acne. 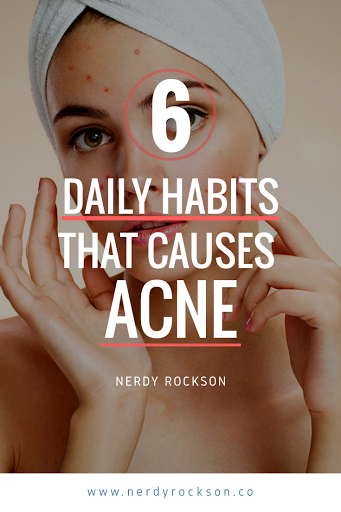 Which is true but there are some of out daily habits that make you prone to acne. Making your hands busy on your face is a subconscious behavior but it can cause more harm on your skin. Touching your face with your hands transfer the bacteria to your skin causing acne and breakouts. Your facial products may be hurting your face the whole time. Be very careful of pore clogging ingredients like isopropyl myristate, sodium lauryl sulphate in your products. It best to go for facial products that are labelled non-comedogenic. Whey protein can have the same effects on your skin as drinking too much milk as it triggers the release of insulin from the pancreas and that can activate the release of insulin from the pancreas and that can cause acne. It can cause acne on your back or chest. Some bacteria can be hard and when you touch your phone to your skin, all those bacteria make their way to your skin which cause acne on your skin. Your bed sheets accumulate fungi, bacteria, dust mites and dead skin cells which cause acne. Your sweat can easily get trapped in your clothing causing acne. Make sure you hit the shower after working out. 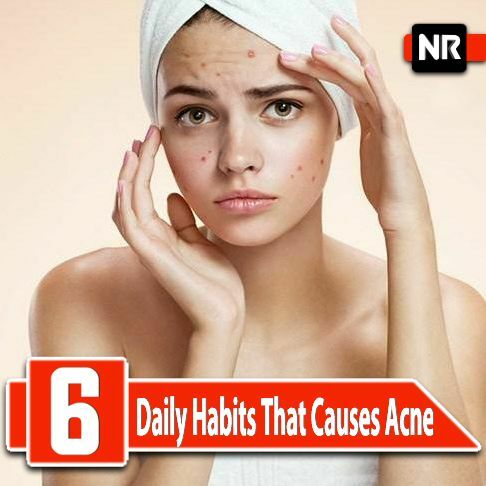 So the above are the 6 daily habits that causes acne, avoiding these things can help you prevent acne. In number, I'm not saying you should stop using cell phone, what I'm saying is that you should know how you handle your phone.